Take advantage of recreation opportunities such as a nightclub, or other amenities including complimentary wireless Internet access and a reception hall. 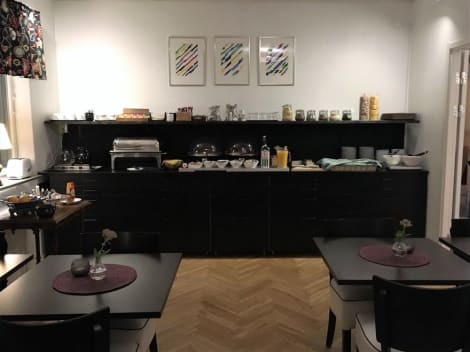 A stay at Comfort Hotel Norrköping places you in the heart of Norrkoping, within a 15-minute walk of Ostgota Theater and Power Park. This hotel is 17 mi (27.3 km) from Kolmarden Zoo and 0.9 mi (1.4 km) from Louis de Geer Concert and Congress Hall. Make yourself at home in one of the 70 guestrooms. Complimentary wired and wireless Internet access keeps you connected, and satellite programming provides entertainment. Bathrooms have showers and hair dryers. Conveniences include desks and blackout drapes/curtains, and housekeeping is provided daily. With a stay at Sure Hotel by Best Western Centric in Norrkoping, you'll be near the airport, just a 1-minute walk from Power Park and 6 minutes by foot from Louis de Geer Concert and Congress Hall. This hotel is 17.7 mi (28.5 km) from Kolmarden Zoo and 0.8 mi (1.4 km) from Work Museum. Stay in one of 190 guestrooms featuring flat-screen televisions. Complimentary wired and wireless Internet access keeps you connected, and cable programming provides entertainment. Private bathrooms with bathtubs or showers feature complimentary toiletries and hair dryers. Conveniences include phones and desks, and housekeeping is provided daily. Enjoy a meal at the restaurant, or stay in and take advantage of the hotel's 24-hour room service. Wrap up your day with a drink at the bar/lounge. A complimentary buffet breakfast is served on weekdays from 6 AM to 10 AM and on weekends from 7 AM to 11 AM. 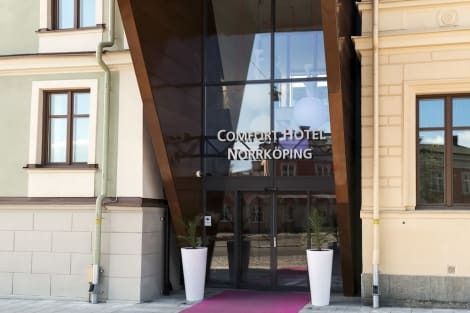 A stay at Scandic Norrköping City places you in the heart of Norrkoping, steps from Ostgota Theater and 8 minutes by foot from Power Park. This hotel is 17.1 mi (27.5 km) from Kolmarden Zoo and 0.8 mi (1.3 km) from Louis de Geer Concert and Congress Hall. Make yourself at home in one of the 48 guestrooms featuring minibars. Complimentary wireless Internet access keeps you connected, and digital programming is available for your entertainment. Private bathrooms with bathtubs or showers feature rainfall showerheads and hair dryers. Conveniences include laptop-compatible safes and desks, and housekeeping is provided daily. lastminute.com has a fantastic range of hotels in Norrkoping, with everything from cheap hotels to luxurious five star accommodation available. We like to live up to our last minute name so remember you can book any one of our excellent Norrkoping hotels up until midnight and stay the same night.